Today is a very special day. 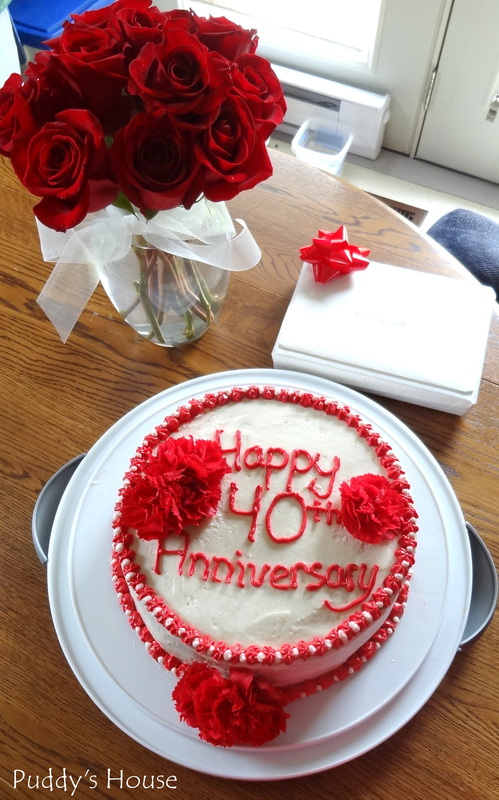 Today is the 40th wedding anniversary for my parents. 40 years! Such a wonderful milestone to reach. My parents have shown me how true love endures. I love that they were high school sweethearts and their lives have grown together. They are parents of four, grandparents of eight. 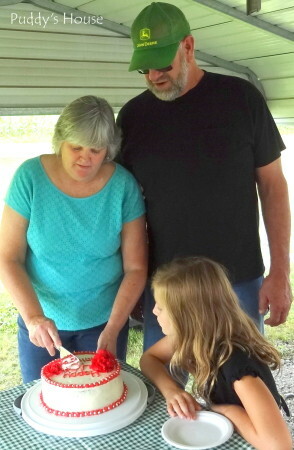 Our not so tiny family got together to celebrate their Ruby Anniversary. We tried to surprise them, but they know us all too well. The only surprise was that my Dad’s Mom and her husband were also able to join us. We celebrated a week ago so that our whole family could be there. It was the first family picnic that my sister, Keri and her husband, Cory hosted at their house. Hosting for 20 people is no easy task! Even though it was a rainy morning, we had a nice canopy to protect us from the rain, and then it cleared and we all had a wonderful time together. We took the opportunity to get some nice pictures of everyone, especially Mom and Dad. Happy 40th Anniversary Mom and Dad!! Here’s to many more years of love and happiness! 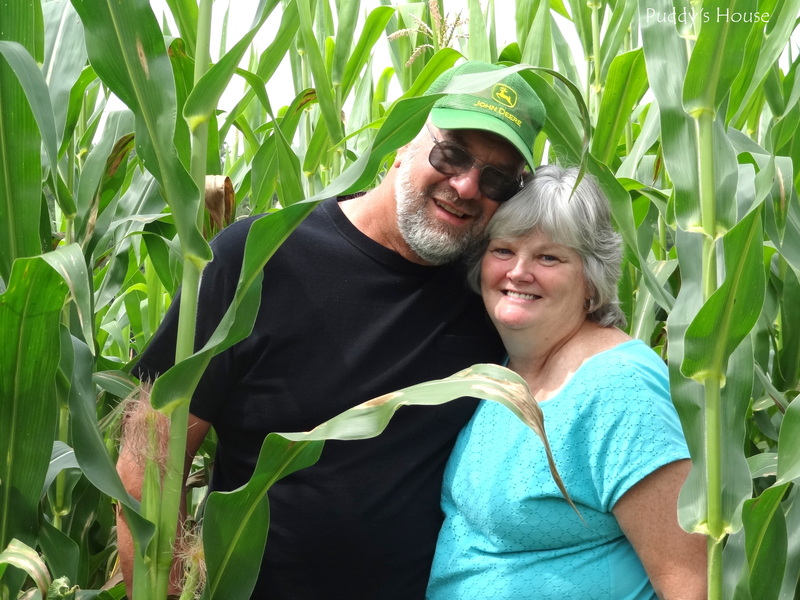 Wayne is an outstanding farmer in his field, and in a corn field with his beautiful wife of 40 years no less. Congratulations on your anniversary! So thankful God brought the two of you together . . .